We encourage staff who have vehicles to drive to camp. You can park your car in our parking lot for the duration of your time at camp, and having a car will give you greater flexibility and freedom on your time off. Do not trust GPS directions to camp. 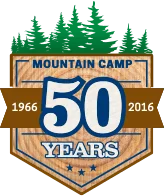 We recommend printing directions from the website, or using Google Maps (Mountain Camp, Pollock Pines, CA). For staff who cannot drive to camp, including international staff, we provide transportation to and from the Sacramento International Airport for your arrival and departure. Please communicate with our office before booking any flights, to make sure that camp can provide transportation to and from the airport. Transportation on days off is not provided by camp. Staff who do not have their own transportation are responsible for organizing rides for themselves on days off. Typically, staff organize their plans in advance of days off and carpool together into town or out on an adventure. The weather at camp can vary a lot due to being up at 5,500 feet altitude. The average temperature at night is about 55-60 degrees Fahrenheit (12-15 Celsius) and the average day temperature is about 80-90F (27-32 C). Occasionally we have some rain and even snow earlier in the summer but the basic rule of thumb is “Warm days, Cold nights”. Use the following list in preparing for camp. Crazy clothing for skits, etc.